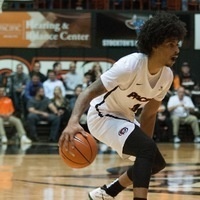 Come cheer on your Men's Pacific Tigers Baskeball Team as they face off against Stanislaus State in their home opener. Pacific Athletics' the Team will also have a canned food drive. and are offering special pricing for this game of $5. Pacific Tigers basketball has widely been regarded as the most affordable fun in Stockton, this is a wonderful opportunity for you. With the installation of the LARGEST hi-def video boards in the area and with these super low prices it makes these games "can't miss" events. We look forward to seeing you inside the newly renovated Spanos Center.